Minho (“meeño) is a region in the north of Portugal where mountains and valleys, rivers and sea join forces to create lush landscapes. It is a land of ancient traditions, influenced by the celtic tribes that once populated the area and by the roman invaders who thought these were the Elysian fields. No one understood Minho better than the poet Pedro Homem de Mello. His famous poem, “One day we’ll go to Viana,” describes the allure of visiting Viana do Castelo, one of the gems of the region. If you’re lucky enough to fulfill the poet’s dream and go to Viana, look for the beautiful LRV pottery. 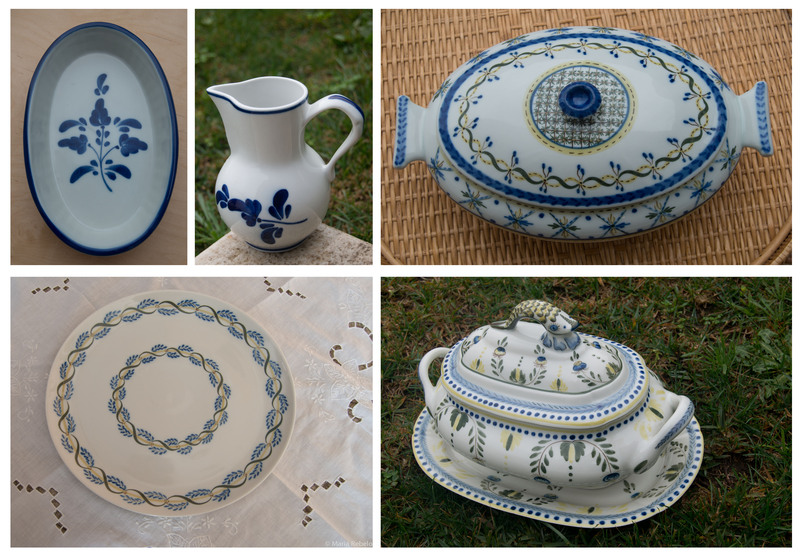 Local artisans paint these elegant pieces with the patience and care of an era gone by, when time flowed slowly and it was hard to travel to Viana. “Havemos de Ir a Viana” was set to music and became a hit in the voice of the great fado singer Amália Rodrigues. Our version of this song features Cecília Fontes on voice, Evandra Gonçalves and Teresa Mascarenhas on violin, and Sergio Rebelo on guitar. The piece was mixed and produced by Pedro Rebelo. It was recorded in Chicago, at a time when violinist Evandra Gonçalves was missing her hometown, Viana do Castelo. Que saudades! Nao de Viana, mas dos músicos e dos bons tempos passados juntos. Wonderful place…Portugal the real Europe! How very lovely. Thank you so much for this treat. And yes, one day we will go to Viana. What is LRV pottery? I have tried to search for it but cannot find it. What do the initials stand for and where can it be purchased? I have found some all blue pottery, but I like the colorful pottery. Thank you for the article. LRV stands for Louça Regional de Viana (Regional Pottery from Viana). It is the name of a local factory.